We hear it often, “I just can’t eat oysters… unless they’re fried.” For many people, a fried bite of the sea introduces them to all of an oyster’s delicious potential. So, what makes a good fried oyster? They require a crisp, golden crust (just a bit of crunch) and tender, almost delicate, sea-flavored oyster flesh inside. Fried oyster recipes come in varieties as numerous as the folks who eat them: pan-fried oysters, deep-fried oysters, Japanese Kaki fried oysters, cornmeal crusted, panko crusted, even brioche crusted! Dig in to dozens of the best fried oyster recipes from your favorite chefs, magazines, cookbooks, and food blogs. 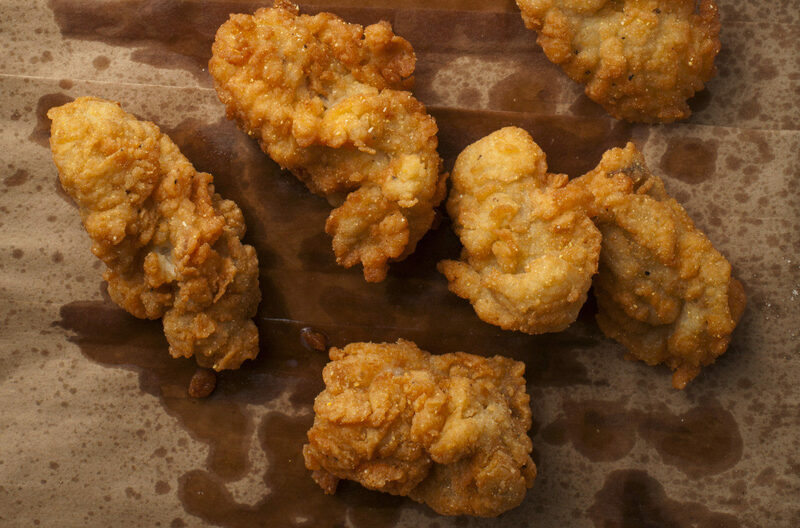 Discover crispy, succulent, delicious oysters, fried anyway you can imagine them. Get out your skillet or plug in the deep fryer and enjoy! Your Oyster Recipe of the Day: Oysters St. Claude. 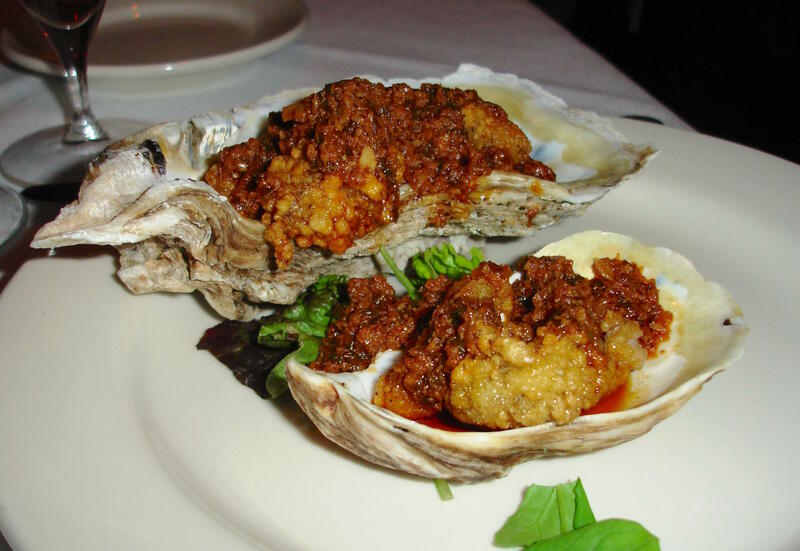 Upperline’s chef Ken Smith serves fried oysters on their shells, with a super-bold, garlicky, spicy sauce.